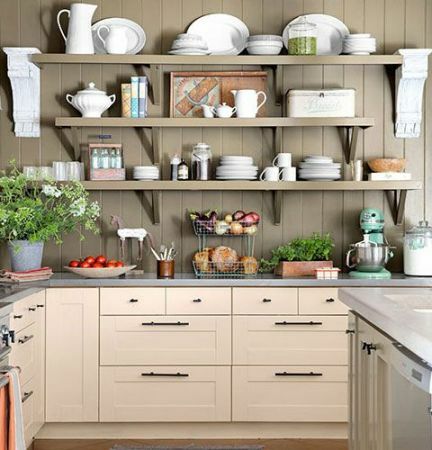 Although your kitchen is small, with some decorative tricks you can turn it into a very comfortable space. It is one of the busiest rooms in the house, and needs a good decoration so that everyone feels comfortable upon entering it. Use all the spaces and available spaces: You need to take advantage of all the space to store kitchen appliances. So you can buy boxes and put small objects to have them organized and stored without occupying the space that you can be used. Keep everything clean and tidy: In a small kitchen that is very important to keep organized. Cleanliness is vital as much or more than any piece of furniture can be added to make space. Discard large, sturdy furniture: These occupy a lot of space and produce a feeling that is recharged in the kitchen. Lightweight furniture in soft white colors will help expand the physical and visual space, leaving a functional and practical environment. You can install small shelves on the sink: This way you can store crystals and glasses, and you will take advantage of the space if you do not have large cupboards in the kitchen. Lighten the kitchen: The more light you can generate with light colors, take advantage of the windows, it will give a slower feeling. Add hooks to take advantage of the walls: That way you can keep your kitchen clear. Hanging pans, lids, pots, will be very organized and take advantage of the space. Glass windows to allow the passage of light: It will look very luminous with the passage of natural light, removing curtains or blinds, but also it is possible to maintain them. If you need them, choose wood blinds that during the day allow the passage of light or white curtains. Neutral and clear colors for the walls: The light tones enlarge the spaces visually. 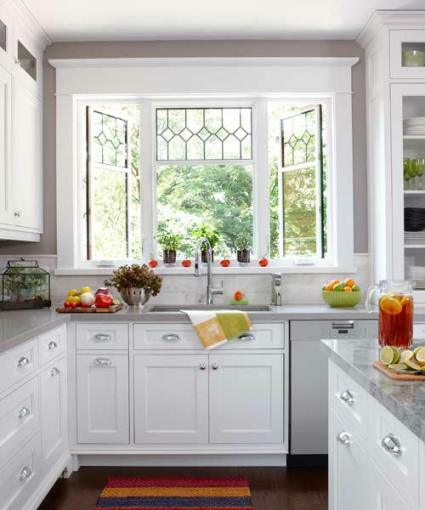 Painting your kitchen in white reflects the light making it look more spacious. The key is that all elements, including appliances, are in order. Dirt and clutter will no doubt prevent the space from looking bright. With a little imagination and following this style, you can achieve the perfect set.